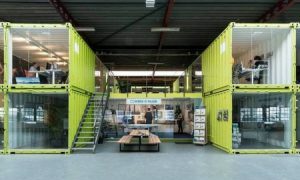 Perusing the coworking news this month, the editor discovered people inside bright yellow shipping containers. Were they happy fugitives? They were coworking in an old warehouse, naturally. Check out this article in Treehugger by Lloyd Alter.